Experience comes with age. According to a paper published on April 2018, “the average age of a startup founder is about 41.9 years of age among all startups that hire at least one employee”. Many observers and investors believe that young people are especially likely to produce the most successful new firms. Using administrative data at the U.S. Census Bureau to study the ages of founders of growth-oriented start-ups in the past decade, the primary finding is that successful entrepreneurs are middle-aged, not young. 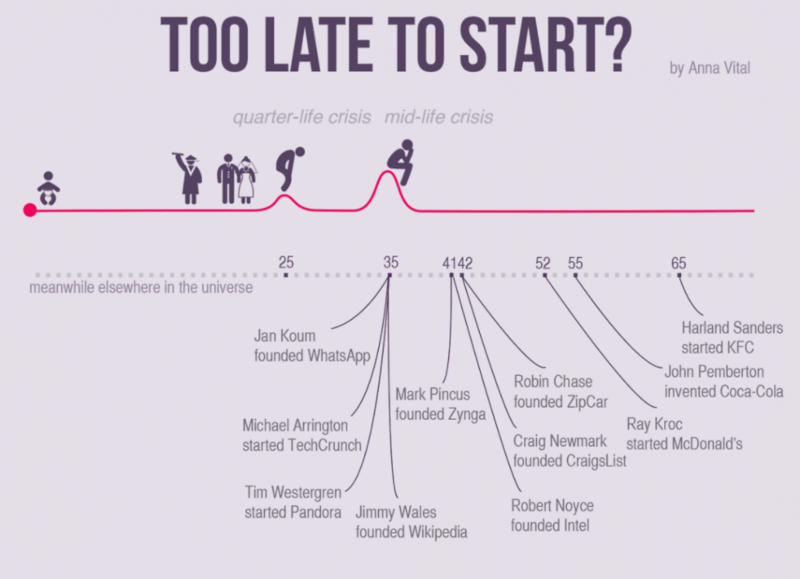 The mean founder age for the 1 in 1,000 fastest growing startups is 45. Intro: Many observers, and many investors, believe that young people are especially likely to produce the most successful new firms. We use administrative data at the U.S. Census Bureau to study the ages of founders of growth-oriented start-ups in the past decade. Our primary finding is that successful entrepreneurs are middle-aged, not young. The mean founder age for the 1 in 1,000 fastest growing new ventures is 45.0. The findings are broadly similar when considering high-technology sectors, entrepreneurial hubs, and successful firm exits. Prior experience in the specific industry predicts much greater rates of entrepreneurial success. These findings strongly reject common hypotheses that emphasise youth as a key trait of successful entrepreneurs.